It’s been plain sailing for the UAE’s maritime industry in recent years even as the international industry navigates choppy waters. As we cruise into 2019, the sector has expanded, port facilities have grown, new yacht marinas have been announced and the nation has positioned itself as an international centre for nautical arbitration. “The UAE’s maritime industry continues to grow and maintain its strength,” says Riju George, Show Director of Dubai International Boat Show, which takes place from February 26 to March 2. “With around $65 billion (Dh239 billion) invested in 2018 in ports across the country, the future of the UAE — and Dubai in particular — as a maritime hub both regionally and globally is looking immensely promising.” Late last year, the UAE was ranked 14th globally in the first global survey of leading maritime nations by Menon Economics and DNV-GL. Although China and the United States took the top places, the UAE’s international climate and strong port infrastructure were particularly commended and the country was placed fourth overall in terms of ports and logistics. “The UAE’s strategy of economic diversification over the past decade has paid rich dividends for its maritime business, the flagship for the region’s industry,” says Nabil Ben Soussia, Managing Director, IEC Telecom Middle East, a leading provider of managed network services for maritime and other sectors. Overall, the sector totals 5 per cent of the domestic economy, according to official data, with the UAE’s stated aim to become one of the world’s top shipping nations within the next ten years. Much of the growth has and will continue to be centred around Dubai. The emirate is now the fifth-most important of 43 global shipping centres thanks to its quality, breadth and business services, according to the International Shipping Centre Development Index.“The broad outlook for the UAE maritime sector is positive, following the launch of the Dubai Industrial Strategy 2030 (DIS) and growing consumer demands in emerging markets serviced by Dubai,” Ben Soussia says. The broad outlook for the UAE maritime sector is positive, following the launch of the Dubai Industrial Strategy 2030 (DIS) and growing consumer demands in emerging markets serviced by Dubai. At the heart of the action is Dubai Maritime City Authority (DMCA), the government authority responsible for regulating, coordinating and supervising the emirate’s maritime sector. Tasked with establishing Dubai as a leading global maritime hub, DMCA laid out the Dubai Maritime Vision 2030 in 2014. “We are working hard to create a vibrant maritime environment to attract industry leaders and promote Dubai’s status as a global shipping centre supported by a series of leading quality initiatives, including the Dubai Maritime Virtual Cluster (DMVC), Dubai Maritime Cluster Office (DMCO), and Maritime Dubai,” Amer Ali, Executive Director of DMCA, said in a statement. Several infrastructure developments are expected to boost the UAE’s maritime sector, which accounts for 30-35 per cent of the total regional maritime sector investment at $65 billion. Some of these include the $1.6-billion expansion of Jebel Ali Port’s Terminal 4, which will increase the port’s capacity by 3.1-million 20-foot equivalent units (TEU) by 2018-19, the development of the Nasr oilfield in Abu Dhabi, Phase 3 of the Dubai Canal Extension Project, Meraas Holding’s 20-million-square-foot Dubai Harbour, which is set to become the nation’s new cruise terminal, and Dubai Creek Harbour, home to the world’s next tallest tower and a shopping centre bigger than Dubai Mall. The IMO 2020 global sulphur cap is expected be a highly disruptive factor…although to what extent this will actually affect the market is unclear. 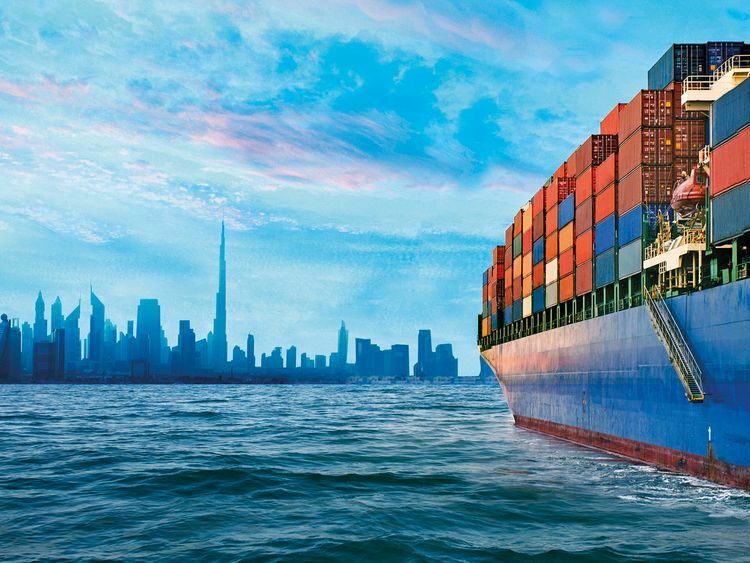 Three new laws could see the maritime sector provide the UAE with a dynamic economic boost. The first draft of the UAE’s new maritime law is expected to be ready soon, and stakeholders will be invited to offer feedback before it returns to the federal government for approval. The new law is a key step in addressing some of the critical problems faced by the industry and has been fashioned in consideration of the UAE’s long-standing legacy to augment and expand the country’s port infrastructure, allowing the country to surface as a preferred destination for shipping. Along with other notable UAE legislative developments, including the new Federal Companies Law and the new Federal Arbitrations Law, it could quickly improve the performance of the UAE maritime sector. Last year’s arbitrations law and the establishment of the Emirates Maritime Arbitration Centre (EMAC) have helped strengthen the nation’s position as a centre for excellence. The authorities within the UAE had recognised the necessity to upgrade the previous provisions in the law pertaining to arbitration by adopting UNCITRAL arbitration rules that enhance the arbitral process as well as clarify the enforcement of arbitration agreements and awards in this new arbitration law.